Anyone that follows me on Twitter knows that I'm no stranger to Starbucks. It's not that I particularly like their coffee (it's okay), it's just that it's so gosh-darn convinent. They're flipping everywhere, and they all have exactly the same things to offer. It's the same thing that the 60's did for McDonald's: a consistent name brand that you can get anywhere and that you trust. Except now instead of mediocre excuses for food, it's mediocre excuses for coffee – and food. Seriously, Starbucks has the nicest restrooms on the highways. Their staff is held to a higher standard than most fast good places, and their clientele seems to be a bit more high-brow as well. Nothing says "Buy Our $4 Cup of Coffee" like clean restrooms. As someone that tends to travel with a water bottle strapped to my belt and packets of tea (or instant coffee) in my pocket, free water is a must. Starbucks will give you as much water as you like – within reason – for free. You can get hot, iced, or tap water as long as you hold the lid for the container yourself (they're trained not to touch customer's used lids). If you don't have your own container, they'll give you the water in the size cup you request. The hot water is extremely convenient if you've got an instant meal to "cook" and don't want to boil your own water in the parking lot. In theory, all Starbucks offer the same free wifi services. In truth this isn't always the case, as sometimes a store's unit it broken or so laggy it's not worth your time. But it still stands that Starbucks has free wifi. No purchase required and you can sit in their lobby, or just outside the door, for as long as you like to use it. What could be better than that? This one isn't as straight forward as the water or wifi, but it is still possible. If you put the time and effort into getting a Starbucks card on your phone and using it until you earn yourself Gold Status, you can earn free refills on drip coffee. What this means for you and your road trip is that you can purchase a grande cup of coffee at pit stop #1 and simply cash in on free refills at all the rest of your stops. The option to give out the free refill is in the hands of the Starbucks you're stopping at, but I've yet to be refused a free refill when I present my rinsed out Starbucks cup and scan my Gold Card. 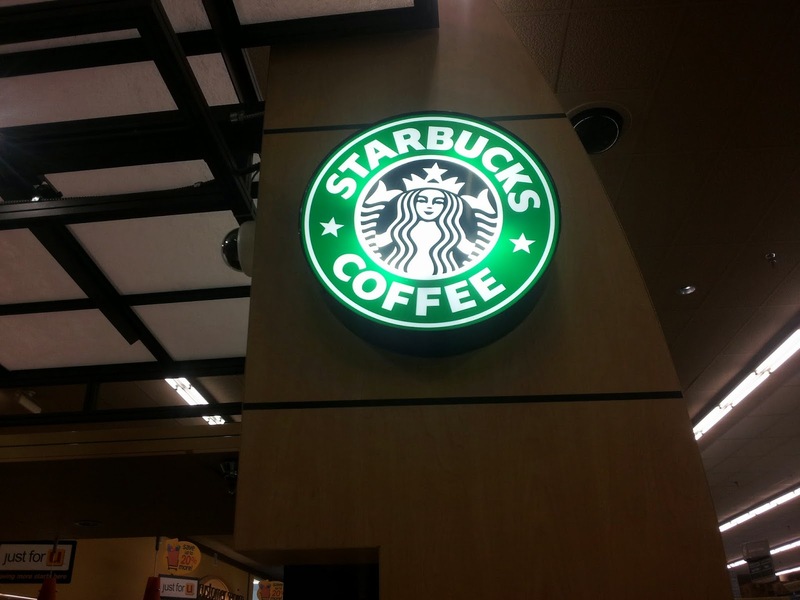 Starbucks has recently been expanding its food mart to have a wider variety of food and snacks available. This includes the normal unhealthy pastries, but also a variety of fresh fruit, yogurt, salads, and sandwiches. They also have hot sandwiches sold all day (though some people assume they're only for breakfast) and a good selection of vegetarian options (the Spinach Feta Wrap is my fav). Everything is more expensive at Starbucks, though, so don't expect a bargin on the food items. Just appreciate their speed and quality of delivery. If you want cheap food options, head into the grocery store that is very likely nearby for some fresh produce and snacks. There ya go, there's the break down on why I have adopted my policy of "Travel by Starbucks." It's not as quick as a dash into the truck stop, which has its time and place on any road trip, but I like to think it leads to a happier Tiffany on arrival.